Chizuru Yukimura is the daughter of a Japanese doctor who vanishes during a trip to Kyoto. To search of her father, Chizuru travels to Kyoto to investigate his whereabouts but in her search she unexpectedly witnesses a member of the Shinsengumi transform into an a Oni/Ogre. 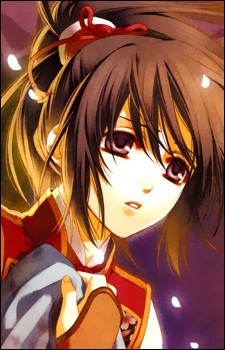 Because of this the Shinsengumi decides to capture her for questioning. It is later revealed that this transformation was actually caused by the "Drug" her father was researching. In order to find both her father and the cure to the Drug her father created, she joins the Shinsengumi whom are coincidentally looking for the same man. Chizuru herself also has a secret; she is in fact a pureblood member of the "oni-ichizoku" (the Demon Clan).